Kitchens are the hub of the home, therefore, we understand the importance of creating a space that is not only enjoyable to work in and pleasantly aesthetic - but also functional, efficient and practical. 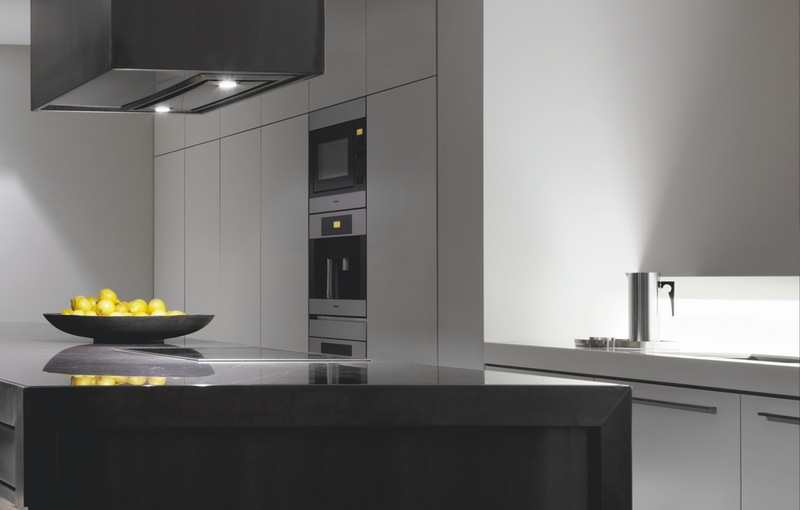 Whether it’s a full renovation to an existing home or a kitchen for your new home, we can deliver a beautifully functional kitchen to suit your budget. Soft close hinges and drawers to store pots and pans, platters, plastics, crockery, cutlery and utensils. Soft close pantry inner drawers to gain easy access to all your pantry goods without losing those ingredients that normally get pushed towards the back. Sink drawers that wrap around your sink to maximise space for storing your cleaning products. Lazy susan and Le Mans shelf units to enable easy access to those dreaded corner cabinets. Spice drawers and slide out chrome spice and condiment racks positioned conveniently near your cooking area. Space saving hideaway bins to help keep your kitchen clutter free with the option of the duo recycling version. Fold away, bi folding or roll up doors to hide appliances and microwaves, whilst creating a smart appearance and modern feature on their own. Choose from a range of kitchen doors - melamine with ABS edge, Vacuum Formed, Polyurethane, Timber Veneer or Solid Timber. 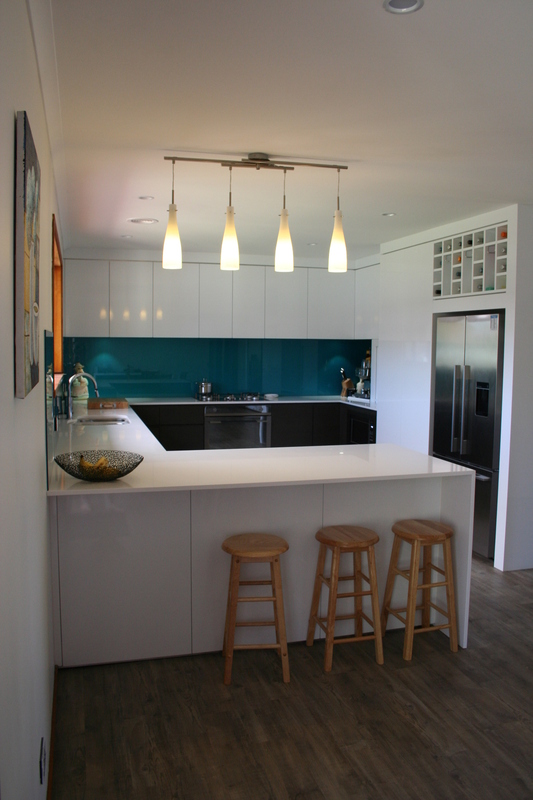 Choose from a range of kitchen bench tops: Laminated Bench tops, Natural Stone Bench tops, Acrylic, Quartz, Glass, Solid Timber and even Stainless Steel Bench Tops. 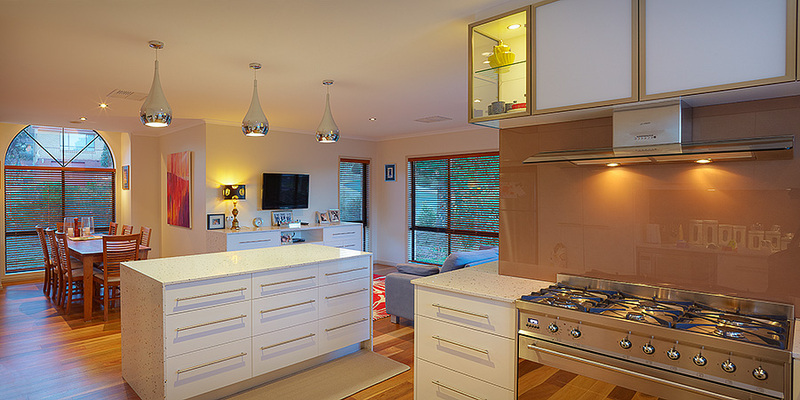 Complete with choice of kitchen splash backs: glass, tile, natural stone, quartz, metaline and acrylic splash backs. 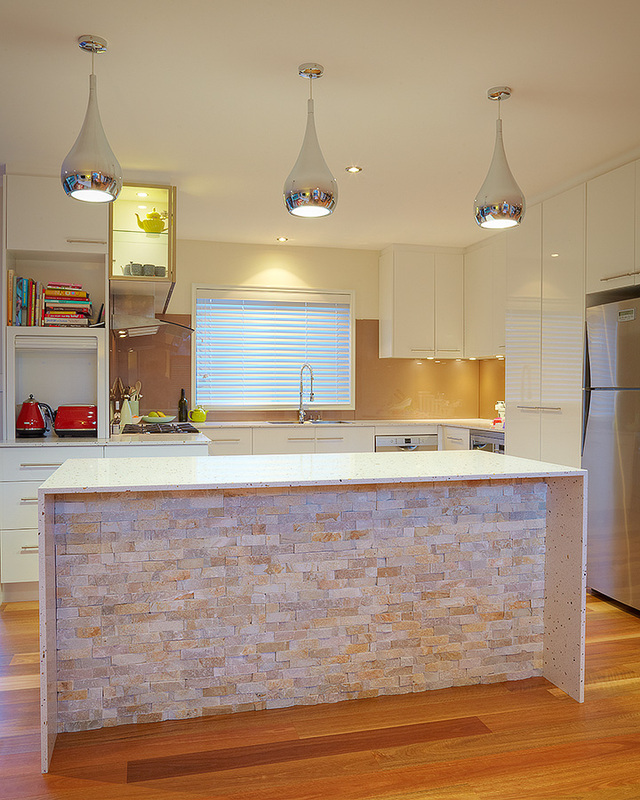 Call (02) 6162 3616 and talk to our Kitchen Specialists. J&J Interiors offer quality cabinetry and beautiful custom joinery, kitchens, bathrooms, office / shop fit-outs to commercial builders, residential builders and home owners in Queanbeyan, Jerrabomberra, Tuggeranong, Belconnen, Woden, Gingahlin, Bungendore, Canberra and the ACT.